COLOMBO (AFP) – Sri Lanka’s ex-army chief and opposition leader faced a court martial Tuesday that could see him jailed for up to five years if convicted on charges supporters say are politically motivated. A three-member panel of two-star generals has been named to try Sarath Fonseka, who is charged with engaging in politics while he was still the commander of the army and making irregular procurements. The two charges relating to politics and military purchases will be heard separately by the same panel which will sit behind closed doors as two courts martial, a defence source said. Fonseka, who was arrested by the military on February 8, two weeks after he lost a presidential election to incumbent Mahinda Rajapakse, has described the proceedings as part of a political vendetta against him. He and Rajapakse, once allies who ended the country’s 37-year civil war last year, are now bitter enemies after their political fight. Supporters say the detention and prosecution of Fonseka are designed to disrupt his campaign for April 8 parliamentary elections, which Rajapakse is expected to win. The 59-year-old retired general has refused to cooperate with military investigators but his Democratic National Alliance party announced Monday that he would be represented by a team of lawyers. It was unclear if he would be there in person for the proceedings. Reporters will not be given access to the military hearing at navy headquarters in the capital Colombo. Fonseka was arrested after senior government figures declared that he was planning a military coup and had conspired to assassinate the president, but none of these more serious charges has been brought against him. Rajapakse has been accused by political opponents and international human rights groups of suppressing dissent and tightening his grip on the opposition and media since his resounding re-election in January. Tuesday’s court martial is the first against an army chief in Sri Lanka, which in 1962 faced an abortive coup. All the 11 suspects in the 1962 coup were freed by a higher court which ruled that they had been denied a fair trial. Sri Lanka’s former chief justice, Sarath Silva, on Monday accused the government of violating the constitution by prosecuting Fonseka under military law instead of using the normal legal system which allows open hearings. 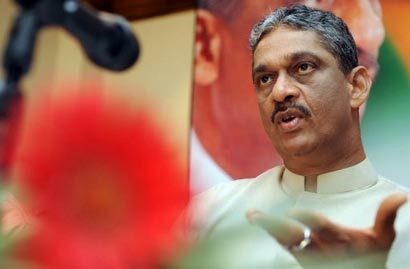 Fonseka has challenged his arrest in the Supreme Court, which has fixed a hearing for April 26. “I don’t understand why the Supreme Court is taking so long to hear the case, but it has the power to override any findings of the court martial,” Silva told reporters in Colombo. Fonseka and Rajapakse were allies in the crushing of Tamil Tiger separatist rebels last May, which ended the guerrillas’ decades-long struggle that left up to 100,000 people dead according to a UN estimate. Fonseka was called the “best army commander in the world and a national hero” by Rajapakse. The duo fell out over who should claim credit for the spectacular military victory.